Since 1962, the Bergstrom needle muscle biopsy technique has long been perceived as the gold standard in muscle tissue sampling due to its ability to provide morphological, biochemical and pathological analysis of human muscle tissue. Though widely implemented, this technique is moderately invasive, requiring an incision through the skin and fascia of the muscle. More recently, the microbiopsy (or fine needle aspiration) has been implemented as a minimally invasive technique using a small gauge needle for tissue sampling without the need for an incision. The fine needle aspiration technique has been validated in histochemical and pathological analyses. However, due to perceived inconsistencies with sample weight and questionable morphological integrity, it is not commonly used for immunohistological staining and analysis. In our article, recently published in MSSE, we examined whether skeletal muscle tissue obtained using this microbiopsy technique was sufficient for use in immunohistological analysis. Four healthy young males reported to our lab on two separate occasions for muscle biopsies of the vastus lateralis via a 14-gauge microbiopsy needle device (Argon Medical, Athens, Texas). The needle was passed through an insertion cannula placed in the thigh and muscle samples weighing between 14-22 mg per biopsy were obtained. We then used a sterile needle to carefully remove the tissue from the biopsy needle and orient the sample in a small cryomold. Tissue-Tek® was then applied over the sample and the entire sample was frozen in pre-cooled isopentane and stored for later sectioning and analysis. Since skeletal muscle tissue has the potential to provide an abundance of data for researchers and clinicians, the purpose of this study was to determine if a less invasive technique, providing less tissue than the more traditional biopsy sample, had the capacity for meaningful histological analysis. Using this technique, we were able to demonstrate that muscle sections were obtained with adequate fiber number, morphology and with good reliability between time points. With remaining samples, we were able to successfully stain for laminin, myosin heavy chain I, II and Pax 7 satellite cells in the muscle. Although we were successful in obtaining sufficient fiber to stain and analyze muscle sections, there did appear to be limitations in regard to fiber number obtained. Thus, the Bergstrom technique may still be preferred for analyses that require a large amount of fibers. Our findings provide novel evidence for the use of skeletal muscle microbiopsies for both morphological and immunohistological research. With its less invasive nature, this technique may provide investigators with the ability to enhance their study design by allowing for repeated measures designs and potentially for adding additional muscle groups that can be sampled. 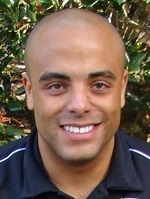 Jeremy R. Townsend, M.S., is an assistant professor in exercise and nutrition science at Lipscomb University in Nashville, Tenn. His primary research interests include nutritional interventions for optimizing sport performance, exercise immunology and understanding the physiological mechanisms involved in regulating skeletal muscle remodeling. 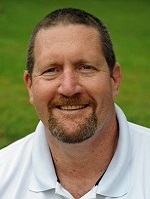 Jay R. Hoffman, Ph.D., FACSM, holds a dual appointment as a professor in sport and exercise science in the College of Education and Human Performance and in the Burnett School of Biomedical Science at the University of Central Florida in Orlando, Florida. He also serves as the chair of the Department of Education and Human Sciences and as director of the Institute of Exercise Physiology and Wellness at the same institution. His research program focuses on the physiological adaptations resulting from nutritional and exercise intervention. This commentary presents Mr. Townsend’s and Dr. Hoffman’s views on the topic of a research article which they and their colleagues published in the February 2016 issue of Medicine & Science in Sports & Exercise® (MSSE).